Monica Haralambous, the owner of Sorbet Lonehill, believes that ‘When one door closes, another opens’. Retrenched from her job in the financial services industry, Monica saw retrenchment not as the end of her career, but rather the beginning of a new one. 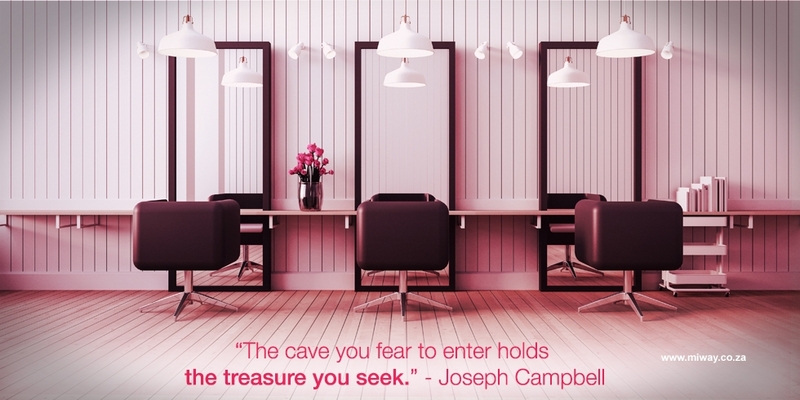 It’s this philosophy that helped her achieve her dream of opening her own beauty salon. Monica explains her reasons for buying into a franchise, rather than starting her own business in the beauty industry: “You’re buying into an existing, well-known brand with a support structure, established methods and business practices”, Monica explains – boxes that needed to be ticked for her after she decided to take the plunge and leave the security of her corporate job. Monica’s advice to future franchisees is to do proper homework and to follow their passion. Make every effort to find the ideal location for your business. Above all though, surround yourself with people who share your vision and are willing to work together to help everyone achieve and have fun. MiWay's Business Insurance team is serious about providing tailored business insurance solutions and providing operational assistance to all franchise and business owners. Whatever your business, MiWay will take care of it!